"But the job is far from over." 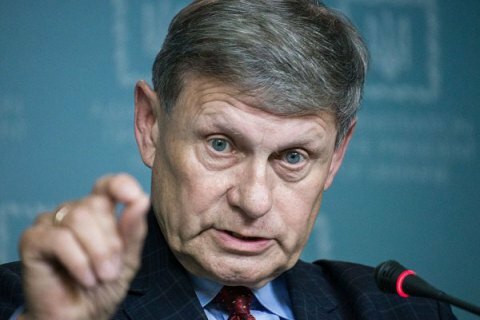 A co-chairman of the group's strategic advisers to the government of Ukraine, the author of Polish reforms Leszek Balcerowicz believes that Ukraine has managed to avoid a catastrophe. "However, indecision in the reform could jeopardize the achievements of governments of Arseniy Yatsenyuk and Volodymyr Groysmanm," he said on Espresso.TV on July 13. "Because of Russia's aggression and the heritage of Yanukovych, it was a disaster Nevertheless, the policy of the previous and the current governments, Ukraine has avoided the catastrophe. And still, this work is far from finished. Unless stabilization measures and rationalization of expenditures are implemented, everything that has been achieved would be in jeopardy. The choice of politics is critical now," Balcerowicz said. Balcerowicz was deputy prime minister and finance minister of Poland in 1989-91 and 1997-2000, and the governor of the National Bank of Poland in 2000-2007. In April, he was appointed the representative of the President of Ukraine to the Cabinet of Ministers and a co-chair of the Strategic Advisory Group in support of reforms in Ukraine.